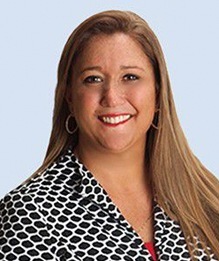 Ms. Amy Lauren Miller is a Vice President and managing partner of The Registry. Ms. Miller has been integral to the ascension of The Registry into a position of national prominence in the higher education service sector over the last decade. She currently serves in a central management role, and holds key responsibilities in the areas of financial operations, legal affairs, marketing and sales, oversight of the middle-management team, and is the primary events manager overseeing national conferences and The Registry’s Annual Seminar. In addition to her work with The Registry, Ms. Miller also serves as the Executive Assistant for the Chairman of the Gorbachev Foundation and the Club de Madrid. Both the Gorbachev Foundation and the Club de Madrid are dedicated to the promotion of democracy and the resolution of political conflicts across the globe. The membership of the Club de Madrid is comprised of nearly 100 former Presidents and Prime Ministers from 58 countries, which makes the Club the world’s largest forum of former heads of state. Ms. Miller is responsible for the organization and execution of conferences and events in addition to the day to day operations. Ms. Miller graduated from Providence College with a dual degree in Marketing and Studio Art; she has also studied internationally at Richmond College in Florence, Italy.